Mobile phone penetration increased and internet access became more affordable across several regions (see Availability and Ease of Access). Numerous regional and Lebanese media websites, Wikipedia, and the WordPress blogging platform were unblocked in 2017. The block on the Israeli domain (.il) was also lifted (see Blocking and Filtering). Self-censorship has increased amid growing threats and violent reprisals for online posts (see Media, Diversity, and Content Manipulation; and Intimidation and Violence). In August 2017, it was confirmed that digital activist Bassel Khartabil Safadi was executed by the regime’s security forces in 2015. He had been detained in 2012 for his democratic activism (see Intimidation and Violence). Law Number 9, passed in March 2018, establishes specialized courts for criminal cases related to communication and technology; critics worry the courts could be used to further suppress freedom of expression online (see Legal Environment). Despite heavy restrictions on internet freedom, the cost and availability of internet access improved over the past year. The unexplained unblocking of several websites was offset by heightened self-censorship amid growing threats and violent reprisals for online activities. In a positive development, authorities unblocked a number of regional and Lebanese media websites by the end of 2017, including Al Jazeera, Al Arabiya, Asharq al-Awsat, the Qatari Al-Arab newspaper, and Al-Hayat, in addition to the Syrian websites The New Syrian, Enab Baladi, and Souriali Radio. Many nonpolitical websites were also unblocked, such as Wikipedia and the WordPress blogosphere. Notably, the block on the Israeli domain (.il) was also lifted. No formal rationale was provided for the unblocking decision, though analysts think that as the government has gained ground in the civil war, it may be trying to demonstrate a reformist attitude toward freedom of expression. In March 2018, the government passed Law Number 9, which established specialized courts for criminal cases related to information and communication technologies. Judges on these courts will be specially trained to handle technology issues, although the results of this training on human rights conditions are yet to be seen. The lack of judicial independence in Syria has led to concerns that the new law could be used to suppress freedom of expression and criminalize critics of the regime even further. Despite relative improvements to access, Syria remains one of the most dangerous places to use the internet in the world. According to Reporters Without Borders, 12 citizen journalists were killed in 2017. In August 2017, it was confirmed that digital activist Bassel Khartabil Safadi was executed by the regime’s security forces in 2015. He had been detained in 2012 for his democratic activism. Mobile phone penetration increased in 2017, the cost of access became more affordable across regions in the past year. There were fewer restrictions on cybercafés, particularly in IS-held territories. Nonetheless, internet access was still subject to regular shutdowns both in areas controlled by the regime and rebel-held territories. Syria’s telecommunications infrastructure is one of the least developed in the Middle East, with broadband connections among the most difficult and expensive to acquire.1 This worsened after 2011, as electricity outages increased dramatically following public protests and the government’s corresponding crackdown. Damage to the communications infrastructure is particularly severe in cities where the government is no longer in control, largely due to bombing and other damage caused by the civil war. As a result, a decentralized telecommunications infrastructure has developed, with each part of the country finding different sources of connectivity. 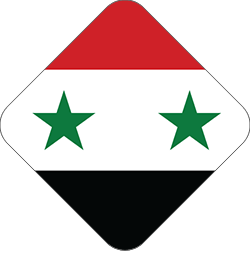 There are currently around 20 ISPs in Syria, three of them government-owned: Tarassul, which is owned by the STE; SCS-NET, which is owned by the Syrian Computer Society; and Ibaa, which is owned by the military and dedicated to Syrian military personnel and their families, as well as the families of martyrs and veterans.14 Independent VSAT connections are prohibited, although they are still heavily employed due to the damage that government ICT infrastructure has sustained as a result of the conflict.15 ISPs and cybercafés operating in government-controlled areas must obtain a permit from the STE and another security permit from the Ministry of the Interior.16 Moreover, cybercafé owners are required to monitor visitors and record their activities. There were fewer restrictions observed on cybercafés in IS-controlled territories in the past year. The government engages in extensive filtering of websites related to politics, minorities, human rights, and foreign affairs. In a positive development, authorities had unblocked a number of websites by the end of 2017. However, self-censorship heightened in the past year amid growing threats and violent reprisals for online activities, particularly in areas under government control. Authorities block a variety of internet content. Since the beginning of the civil war, a number of websites have been employed to mobilize people to protest or resist the regime, including the websites linked to the Local Coordination Committees (LCCs) network. Many of these sites have been subject to blocking, in addition to opposition websites and the websites of human rights organizations, content critical of the regime’s political, cultural, social or economic policies, criticism of high-level government officials, and sites that expose official corruption. In a positive development, authorities had unblocked a number of regional and Lebanese media websites by the end of 2017, including Al Jazeera, Al Arabiya, Asharq al-Awsat, the Qatari Al-Arab newspaper, and Al-Hayat,20 in addition to the Syrian websites the New Syrian, Enab Baladi, and Souriali Radio. Many nonpolitical websites were unblocked as well, such as Wikipedia and the WordPress blogosphere. Notably, the block on the Israeli domain (.il) was also lifted. No formal rationale was provided for the unblocking decision, though analysts think that as the government has gained ground in the civil war, it may be trying to demonstrate a reformist attitude toward freedom of expression. Nonetheless, a number of websites remained blocked, including Al-Quds Al-Arabi and the Kuwaiti newspaper Al-Seyassah, as well as the websites of human rights groups such as the Syrian Observatory for Human Rights, the Syrian Human Rights Committee, and Souriatna, a magazine that offers the perspectives of young Syrians. Decisions surrounding online censorship lack transparency, and ISPs do not publicize the details of how blocking is implemented or which websites are banned, though government officials have publicly admitted to engaging in online censorship. When a user seeks access to a blocked website, an error message appears implying a technical problem rather than deliberate government restriction. The entity (STE) that implements blocking is known, but it is unclear which security apparatus makes the decisions. Following a request to unblock the Al-Nazaha news site in 2008, the Ministry of Communications and Technology informed the court that "The website was blocked under the direction of Branch 225,"31 one of the security branches of the Military Intelligence Directorate. According to digital security organization SecDev, the Facebook pages of dozens of opposition groups, media outlets, and independent nongovernmental organizations (NGOs) have been suspended by the social network over the years.32 The Facebook pages of LCCs and the London-based Syrian Network for Human Rights have been banned, as well. Activists believe that Facebook users sympathetic to President Assad may be reporting the pages en masse for violating user guidelines. Razan Zeitouneh of the Violations Documentation Center shared a letter urging Facebook to keep the pages open, stating that “Facebook pages are the only outlet that allows Syrians and media activists to convey the events and atrocities to the world.” Representatives from Facebook have cited the difficulties in discerning between objective reporting and propaganda, particularly since many armed extremists use the platform. Activists and human rights advocates expressed dismay that thousands of videos and dozens of channels documenting war crimes and human rights abuses were removed from the YouTube platform in mid-2017, after YouTube applied a "machine learning" algorithm that tracks any content that could violate the platform’s rules. YouTube has since restored a number of channels and reposted thousands of clips that were mistakenly removed. With the onset of the civil war, citizen journalism and social media provided the Syrian public with an alternative view of domestic events,33 especially as the perception of independence and credibility of state media outlets declined.34 In an environment of violence and arbitrary “red lines,” self-censorship is widespread online and increased in recent years amid growing threats and violent reprisals for critical content online (see Intimidation and Violence). Sensitive topics include criticism of President Assad, his late father, the military, the ruling Ba’ath party, or influential government officials. Covering religious and ethnic tensions or corruption allegations related to the ruling family are also off limits. Most users are careful not only to avoid such sensitive topics, but also to refrain from visiting blocked websites.35 Since 2014, users living in areas controlled by the Islamic State (IS) or other extremist groups have also stepped up their self-censorship. Proregime forces have employed a range of tactics to manipulate online content and discredit unfavorable news reports, though it is often difficult to attribute these actions directly to the government. The Syrian Electronic Army (SEA), a progovernment hacktivist group, targets the websites of opposition forces, human rights groups, and foreign media outlets (see Technical Attacks). Journalists with domestic outlets sometimes receive phone calls from government officials offering “directions” on how to cover particular events.36 The government also supports and promotes websites that provide progovernment coverage. These sites typically cite the reporting of SANA, the official state news agency, with the same wording often evident across multiple websites. Since early 2011, this approach has also been used to promote the government’s view of the uprising and subsequent military campaign.37 Interestingly, in 2012, the progovernment website Aksalser changed its stance to support the opposition and was subsequently blocked by the government.38 The government has since unblocked the website, likely at the end of 2017. Law Number 9, passed in March 2018, establishes specialized courts for criminal cases related to communication and technology; critics worry the courts could be used to further suppress freedom of expression online. Citizen journalists, bloggers, and activists were detained and often tortured while in detention. Netizens were confirmed killed during the coverage period. Laws such as the penal code, the 1963 State of Emergency Law, and the 2001 Press Law are used to control traditional media and arrest journalists or internet users based on vaguely worded language such as “threatening national unity” or “publishing false news that may weaken national sentiment.”45 Defamation offenses are punishable by up to one year in prison if comments target the president and up to six months in prison for libel against other government officials, including judges, the military, or civil servants.46 The cybercrime law allows prison sentences of up to three years and fines of up to SYP 250,000 (US$600) for anyone who incites or promotes crime through computer networks.47 The judiciary lacks independence and its decisions are often arbitrary. Some civilians have been tried before military courts. In March 2018, the government passed Law Number 9, which establishes specialized courts for criminal cases related to communication and technology.48 Some analysts view the creation of such courts as a positive step. Judges on these courts will be specially trained to handle technology issues. However, the lack of judicial independence in Syria has led to concerns that the new law could be used to suppress freedom of expression and criminalize critics of the regime. Since antigovernment protests broke out in 2011, the authorities have detained hundreds of internet users, including several well-known bloggers and citizen journalists. While it is difficult to obtain information on recent arrests, at least 15 netizens remain in prison according to Reporters Without Borders, an international NGO. 49 Bassel Khartabil, an open source activist and recipient of the 2013 Index on Censorship Digital Freedom Award, was detained by the authorities in March 2012 and subsequently executed (see Intimidation and Violence).50. The Hay'at Tahrir al-Sham arrested a number of digital activists in the governorate of Idlib on various charges, such as "media work against HTS," which is the charge that media activists Amjad Al-Maleh, Hussam Mahmoud, Hassan Younis, and Bakr Younis faced when they were arrested in December 2017. Activists launched a media campaign for their release, under the slogan “Free Madaya Activists,” and a number of organizations signed a statement demanding their release. Many media activists have left Syria for Turkey after receiving threats or being arrested. A 2014 report by Kaspersky Labs revealed that some 10,000 victims’ computers had been infected with RATs in Syria, as well as in other Middle Eastern countries and the United States.64 The attackers sent messages via Skype, Facebook, and YouTube to dupe victims into downloading surveillance malware. One file was disguised as a spreadsheet listing the names of activists and “wanted” individuals. A Citizen Lab report revealed that “middleboxes were being used” by Turk Telecom, one of the cross-border ISPs in northern Syria, “to redirect hundreds of users attempting to download certain legitimate programs to versions of those programs bundled with spyware. The report added that “targeted users in Turkey and Syria who downloaded Windows applications from official vendor websites including Avast Antivirus, CCleaner, Opera, and 7-Zip were silently redirected to malicious versions by way of injected HTTP redirects.” This affected a number of devices used by the YPG Kurdish militia. Since January 2018, the YPG have been targeted by the Turkish air and ground forces as part of Operation Olive Branch. Anonymous communication is possible online, but is increasingly restricted. Registration is required to purchase a mobile phone, though in recent years, activists have used the SIM cards of friends and colleagues killed in clashes with security forces to shield their identities. Mobile phones from neighboring countries like Turkey and Lebanon have been widely used since 2012, notably by Free Syrian Army fighters and, increasingly, civilians. While the Syrian Electronic Army (SEA), a group of progovernment hackers, pioneered technical attacks against the opposition, numerous hacker groups linked to Hezbollah, IS, Russia, and Iran have also developed cyber operations. In 2016, Citizen Lab published research on Group 5, a new hacker collective noted for its use of “Iranian Persian dialect tools and Iranian hosting companies.”77 Hackers established websites with names such as AssadCrimes while executing more elaborate social engineering schemes.78 The AssadCrimes site contained articles lifted from a Syrian opposition blog and was falsely registered under the name of Nour al-Ameer, a prominent opposition activist. Hackers created email addresses and social media profiles linking to the fake publications in order to communicate with government opponents and human rights defenders and map out their social networks. Once trust was established, the hackers targeted victims with so-called remote access Trojan (RAT) programs and gained access to their devices. 1 Kyle Wansink, Syria - Telecoms, Mobile, Broadband and Forecasts, BuddeComm, http://bit.ly/1OdycSD. 2 International Telecommunication Union, “Statistics,” 2016, http://www.itu.int/en/ITU-D/Statistics/Pages/stat/default.aspx. 3 International Telecommunication Union, “Statistics,” 2017, http://www.itu.int/en/ITU-D/Statistics/Pages/stat/default.aspx. 5 Syrian Computer Society Network, “ADSL Services and price” [in Arabic], accessed May 17, 2017, http://bit.ly/250BUqt. 6 Labor Observatory for Studies and Research, “The Syrian’s living costs are 7 times higher than his income”. [Arabic] June 6, 2017, http://syriasteps.com/?d=126&id=151984&in_main_page=1. 7 Doug Madory, “Internet Returns to Aleppo, Syria,” Dyn Research, November 11, 2015, http://research.dyn.com/2015/11/internet-returns-to-aleppo-syria/. 8 "Turkish Internet service disconnected from Northern Syria", 21 Jan 2018 Smartnews-Agency, https://smartnews-agency.com/en/wires/256293/turkish-internet-service-disconnected-from-northern-syria. 10 Doug Madory, “War-torn Syrian city gets new fiber link,” Dyn Research, October 12, 2016, http://research.dyn.com/2016/10/war-torn-syrian-city-gets-new-fiber-link/. 12 Syrian Telecom, “Intelligent Network Project,” http://www.in-ste.gov.sy/inindex_en.html. 15 “Online Syria, Offline Syrians,” One Social Network with a Rebellious Message, The Initiative or an Open Arab Internet, accessed March 8, 2012, http://bit.ly/1NSCAHQ. 16 Ayham Saleh, “Internet, Media and Future in Syria” [in Arabic], The Syrian Center for Media and Free Expression, November 14, 2006, http://bit.ly/1hfdwWl. 18 Ministry of Communication and Technology, “Overview,” [in Arabic], http://www.moct.gov.sy/moct/?q=ar/node/21. 19 Sean Gallagher, “Network Solutions seizes over 700 domains registered to Syrians,” Ars Technica, May 8, 2013, http://arstechnica.com/tech-policy/2013/05/network-solutions-seized-over-700-domains-registered-to-syrians/. 21 Alexa, “Top Sites in SY,” accessed October 25, 2016, http://www.alexa.com/topsites/countries/SY. 22 Mike Rispoli, “Access joins open letter to tech industry addressing overcompliance with U.S. sanctions,” Access, June 28, 2012, http://bit.ly/1i0XdDM. 23 Dlshad Othman, “Bypassing censorship by using obfsproxy and openVPN, SSH Tunnel,” Dlshad, June 22, 2013, http://bit.ly/1KH3KjZ. 25 Reporters Without Borders, “Syria,” Enemies of the Internet: Countries under surveillance, March 12, 2010, http://bit.ly/1OCZ0cS, and Platinum, Inc., “ThunderCache Overview,” accessed August 14, 2012, http://www.platinum.sy/index.php?m=91. 26 Andy Greenberg, “Meet Telecomix, The Hackers Bent on Exposing Those Who Censor and Surveil The Internet,” Forbes, December 26, 2011, http://onforb.es/1Bu1tQx. 27 Blue Coat, “Update on Blue Coat Devices in Syria,” news release, December 15, 2011, http://bit.ly/1FzFd8X. 28 “Blue Coat device logs indicate the levels of censorship in Syria,” Arturo Filasto, accessed August 14, 2012, http://bit.ly/1LZDZJ3. 29 Jennifer Valentino-Devries, Paul Sonne, and Nour Malas, “U.S. Firm Acknowledges Syria Uses Its Gear to Block Web,” Wall Street Journal, October 29, 2011, http://on.wsj.com/t6YI3W. 30 Ben Elgin and Vernon Silver, “Syria Disrupts Text Messages of Protesters With Dublin-Made Equipment,” BloombergBusiness, February 14, 2012, http://bloom.bg/1i0TOEU. 32 Michael Pizzi, “The Syrian Opposition Is Disappearing From Facebook,” The Atlantic, February 4, 2014, http://theatln.tc/1aojZAO. 33 Amr Alhamad, “Holding on to Seafoam: Insights on the Reality of Radio and Web Publishing in Syria” Weedoo, November, 2016, https://weedoo.tech/our-studies-en/holding-on-to-seafoam-insights-on-the-reality-of-radio-and-web-publishing-in-syria/. 34 Nasir Al-Sahli, “The Schizophrenia of the Syrian media ‘Terrorists are bombing Aleppo’ ” Alaraby, May 4, 2016, http://bit.ly/2iT2L9q, and Hanin Al-Nukri, Enabbaladi “What changed in the Syrian government media outlets after seven years?” March 19, 2016, https://www.enabbaladi.net/archives/137768. 35 Email communication from a Syrian blogger. Name was hidden. 36 Guy Taylor, “After the Damascus Spring: Syrians search for freedom online,” Reason, February 2007, http://theatln.tc/1aojZAO. 37 Guy Taylor, “After the Damascus Spring: Syrians search for freedom online,” Reason, February 2007, http://theatln.tc/1aojZAO. 38 The Syrian “Aksalser website with the revolution,“ [in Arabic] the-syrian, August 28, 2012, http://the-syrian.com/archives/86170. 39 Maya Gebeily, “Secret Syria network warns of air raids over WhatsApp,” The Times of Israel, January 21, 2016, http://www.timesofisrael.com/secret-syria-network-warns-of-air-raids-over-whatsapp/. 40 Avi Asher-Schapiro, “The Virtual Surgeons of Syria,” The Atlantic, August 24, 2016, http://www.theatlantic.com/international/archive/2016/08/syria-madaya-doctors-whatsapp-facebook-surgery-assad/496958/. 42 Judith Dublin, “Syrian Fight Fire with Facebook,” Vocativ, September 23, 2013, http://voc.tv/1UJqcIP. 43 Christophe Koettl, “The YouTube War: Citizen Videos Revolutionize Human Rights Monitoring in Syria,” Mediashift (blog), PBS, February 18, 2014, http://bit.ly/1Nkfnw9. 44 The platform, http://onsyria.org/, is now offline and the related Facebook page has not been updated since 2013: Onsyria, Facebook Page, http://on.fb.me/1GnVymR. 46 Syrian Penal Code, art. 378. 47 Global Resource and Information Directory, “Legislation,” in “Syria,” http://www.fosigrid.org/middle-east/syria. 49 See Reporters Without Borders, “Violations of Press Freedom Barometer,” 2017, https://rsf.org/en/barometer?year=2017&type_id=233#list-barometre. 50 “Renewed calls for Bassel Khartabil’s release on 4th anniversary of detention,” Reporters Without Borders, March 17, 2016, https://rsf.org/en/news/renewed-calls-bassel-khartabils-release-4th-anniversary-detention. 51 Hania Mourtada, “‘She Was My Mandela’ – Famous Syrian Activist Gets Abducted,” Time, December 11, 2013, http://ti.me/1KcXrTc. 52 Maha Assabalani, “My colleagues are in prison for fighting for free expression,” UNCUT - Index on Censorship, May 11, 2012, http://bit.ly/1EYHMX9. 53 Jared Malsin, “Portrait of an Activist: Razan Ghazzawi, the Syrian Blogger Turned Exile,” Time, April 2, 2013, http://ti.me/1Q46vKi. 54 An interview with Syrian blogger, February 2013, Skype. 55 Interviews with released bloggers, names were hidden. 56 Interview with Abu Ibrahim Raqqawi of Raqqa Is Being Slaughtered Silently, Skype. 57 “Law of the rulers to communicate on the network and the fight against cyber crime” art. 5-12. Informal English translation: https://telecomix.ceops.eu/material/testimonials/2012-02-08-Assad-new-law-on-Internet-regulation.html. 58 “Law of the rulers to communicate on the network and the fight against cyber crime” art. art. 2. 59 “Law of the rulers to communicate on the network and the fight against cyber crime” art. art. 8. 60 Ben Brumfield, “Computer spyware is newest weapon in Syrian conflict,” CNN, February 17, 2012, http://cnn.it/1LZPQXn. 61 Eva Galperin and Morgan Marquis-Boire, “How to Find and Protect Yourself Against the Pro-Syrian-Government Malware on Your Computer,” Electronic Frontier Foundation, March 5, 2012, http://bit.ly/xsbmXy. 62 Eva Galperin and Morgan Marquis-Boire, “Fake YouTube Site Targets Syrian Activists With Malware,” Electronic Frontier Foundation, March 15, 2012, http://bit.ly/1XQhHzX. 63 “Syrian Malware” Up-to-date website collecting the malware http://syrianmalware.com/. 65 See Reporters Without Borders, “Violations of Press Freedom Barometer,” for 2016 and 2017, https://rsf.org/en/barometer?year=2017&type_id=233#list-barometre. 66 Liz Sly, “One of Syria’s best-known democracy activists has been executed,” Washington Post, August 2, 2017, https://www.washingtonpost.com/world/middle_east/one-of-syrias-best-known-democracy-activists-has-been-executed/2017/08/02/483f4ca0-778a-11e7-8c17-533c52b2f014_story.html. 67 Committee to Protect Journalists, “Syrian journalist killed by airstrike in Daraa,” March 13, 2017, https://cpj.org/2017/03/syrian-journalist-killed-by-an-airstrike-in-daraa.php. 68 “Well-known Syrian cartoonist died in detention after being tortured,” Reporters Without Borders, September 22, 2015, https://rsf.org/en/news/well-known-syrian-cartoonist-died-detention-after-being-tortured. 69 Ibrahim Naffee, “Cartoonist Raslan arrested in Syria,” Arab News, October 16, 2012, http://www.arabnews.com/cartoonist-raslan-arrested-syria. 70 Enab Baladi Online, “ISIS Executes Five Journalists in Deir-ez-Zor,” The Syrian Observer, June 27, 2016, http://syrianobserver.com/EN/News/31250/ISIS_Executes_Five_Journalists_Deir_Zor. 71 Lizzie Dearden, “Isis beheads 'Raqqa is Being Slaughtered Silently' activist and friend in Turkey,” Independent, October 30, 2015, http://ind.pn/1Wm9dAh. 72 AP, “Reporters Without Borders urges Turkey to protect exiled Syrian journalists,” US News and World Report, December 29, 2015, http://www.usnews.com/news/world/articles/2015-12-29/journalism-group-calls-on-turkey-to-protect-syrian-reporters. 73 Interviews with two photographers who have taken refuge in Turkey, December 2011. 74 Amira al Hussaini, “Syrian Blogger Stabbed in His Istanbul Home After Receiving Threats Online,” Global Voices Advocacy, April 21, 2015, http://bit.ly/1jS03fb. 75 Aisha Gani and Kareem Shaheen, “Journalist Ruqia Hassan murdered by Isis after writing on life in Raqqa,” The Guardian, January 5, 2016, http://bit.ly/1O8Gqbh. 76 See Committee to Protect Journalists, “James Foley,” Journalists Killed/Syria, 2014, https://cpj.org/killed/2014/james-foley.php, Committee to Protect Journalists, “Steven Sotloff,” Journalists Killed/Syria, 2014, https://cpj.org/killed/2014/steven-sotloff.php, and Committee to Protect Journalists, “Kenji Goto,” Journalists Killed/Syria, 2015, https://cpj.org/killed/2015/kenji-goto.php; I-fan Lin, “Hate Is Not What Humans Should Do: Slain Journalist Kenji Goto’s Words Live On Online,” Global Voices, February 7, 2015, http://bit.ly/1MyBlt1. 79 Sam Jones, “Russia steps up Syria cyber assault,” Financial Times, February 19, 2016, https://www.ft.com/content/1e97a43e-d726-11e5-829b-8564e7528e54. 80 John Scott-Railton and Seth Hardy, Malware Attack Targeting Syrian ISIS Critics, CitizenLab, December 18, 2014, http://bit.ly/1JbRwMW. 81 James Temperton, “FBI adds Syrian Electronic Army hackers to most wanted list,” Wired, March 23, 2016, http://www.wired.co.uk/article/syrian-electronic-army-fbi-most-wanted. 83 Christine Haughney and Nicole Perlroth, “Times Site Is Disrupted in Attack by Hackers,” New York Times, August 27, 2013, http://nyti.ms/17krXEO. 84 Julian E. Barnes, “Syrian Electronic Army Hacks Marines Website,” The Wall Street Journal, September 2, 2013, http://on.wsj.com/1KGVnFf. 85 Adario Strange, “Syrian Electronic Army Hacks Facebook's Domain Record,” Mashable, February 5, 2014, http://on.mash.to/1EQuHPY. 86 Gregory Ferenstein, “The Syrian Electronic Army Hacked Obama’s Twitter Links And Campaign Emails,” Tech Crunch, October 28, 2013, http://tcrn.ch/1Xi62bV. 87 Max Fisher, “Syria’s pro-Assad hackers infiltrate Human Rights Watch Web site and Twitter feed,” Washington Post, March 17, 2013. http://wapo.st/1eU9nKI. 88 Andy Greenberg, “How the Syrian Electronic Army Hacked Us: A Detailed Timeline,” Forbes, February 20, 2014, http://onforb.es/MEWYiq. 89 Brian Fung, “The Syrian Electronic Army just hacked the Washington Post (again),” Washington Post, May 14, 2015, http://wapo.st/1jS0eY7. 90 The Syrian Electronic Army, http://sea.sy/index/en. 91 Haroon Siddique and Paul Owen, “Syria: Army retakes Damascus suburbs-Monday 30 January,” The Guardian, January 30, 2012, http://bit.ly/1LZSDQA; Voltaire Network, “Speech by President Bashar al-Assad at Damascus University on the situation in Syria,” June 20, 2011, http://bit.ly/1FzOUEp. 92 “The Syrian Electronic Army Fights Rumors and Gives the True Picture of the Incident,” [in Arabic], Wehda, May 17, 2011, http://bit.ly/1OfOsCp.